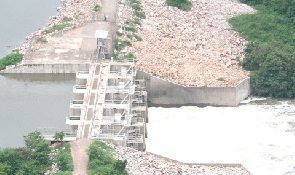 The Weija Dam, which supplies potable water to about 80 per cent of Accra, is facing massive encroachment that has extended to the entire stretch of the dam. Currently, the dam, which was constructed in 1978, is inundated with indiscriminate harvesting of wood, sand winning, quarrying and farming activities in its catchment area. Another destructive activity is the dumping of solid and liquid waste from domestic and industrial sources into the dam, causing the Ghana Water Company Limited (GWCL) to continuously increase the funds used to buy chemicals to treat the water. The Daily Graphic on a visit to the dam site over the weekend saw that residents of Weija, Oblogo and surrounding communities were engaged in commercial activities around the dam. The nature of the encroachment is such that most of the residents have directed their faecal waste and other waste water into the Densu River, while others have turned the river into a refuse dump. 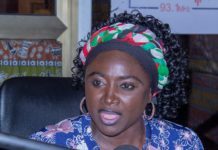 In an interview with the Daily Graphic, the Communications Director of the GWCL, Mr Stanley Martey, said the situation was hampering the operations of the company. “We are saddened by the issue of encroachment around the dam. We have tried to address this problem on many occasions but nothing concrete has come out of our efforts,” he said. Over the last few years, he said, a number of interventions had been put in place to address the problem of encroachment that had taken over the dam. “We brought in the National Security to help check the situation, but anytime we moved in, we received injunctions from the people. The security officers were then forced to move away to avoid any problem,” Mr Martey said. Another intervention the company tried to use to curb the problem, he said, was to fence off the dam area, but, unfortunately, anytime a fence was erected, some land guards came to demolish it. “These men come in at odd hours to break down every single fence we put up to protect the dam,” he added. 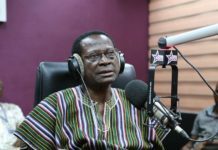 He attributed the problem to the failure of the Ga South Municipal Assembly to enforce the laws, since “they have the legal authority to deal with issues of encroachment in that area”. “The GWCL does not have the power to arrest people in that area because it is the responsibility of the municipal assembly. However, we still do not know why nothing has been done about it, although the assembly is aware of the situation,” Mr Martey said. He said over the last four years the cost of treating the water in the dam for safe usage had quadrupled, adding that the issue was partly responsible for high water tariffs in recent times. “We now have to spend four times the amount we used to spend monthly to treat the water before it can be good for usage. This is making our cost of production go high every month,” Mr Martey added. He was, however, unable to give the monthly cost of treating the water, saying that he had to crosscheck to get the right amount because the figures kept changing.